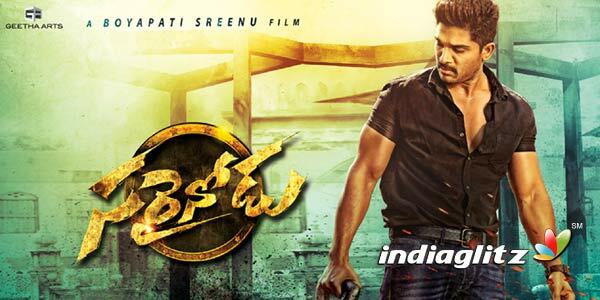 Thaman proves to be the 'sarrainodu'. The album has lyrics by Ramajogayya Sastry, Sri Mani, and Krishna Chaitanya. Vishal Dadlani, Karthik, Dhanunjay, Manasi MM, MC Vickey, Shreya Ghoshal, Nakash Aziz, Simha, Sri Krishna, Deepu, Jubin Nautiyal, Sameera Bharadwaj, Sonu Kakkar, Hard Kaur, Brijesh Shandilya are the singers. Vishal Dadlani's debut in Telugu arrives with a bang. Thaman ensures that the vocals are consistent with the verve of the Stylish Star. If the vocals are right there, Thaman's instrumentation is conspicuously apt for a big-ticket movie of a humongous scale. The beats allow a dancer like Allu Arjun to get his moves right even in a duet like this. Ramajogayya's lyrics capture the lover boy's description of the girl's awesome beauty. Words like strawberry, missile, and autograph are cliched. The words 'athiloka sundari' bring to memory Chiranjeevi's film. This is perhaps one of the most catchy songs in recent times. Ananth Sriram's lyrics can appeal to listerners of all age groups. The lover boy is ready to be at the receiving end of the MLA's wrath. Ready to give a new meaning to the acronym, he eventually boasts of his heroic attributes after waxing eloquent on 'shapu', 'soopu', 'voopu', 'taapu', 'thopu', 'hypu'. Such an entertaining number this. Thaman gives a tune that will have you humming it. Dhanunjay's rendition elevates the song, as his voice comes with a dose of naughtiness as well as assertiveness. The song has a pronounced Bollywoodish feel. Thaman prefers to score an authentic party number, but it has to be seen how far this faithful number will sound in the course of the film. Vickey's electrifying and intense voice is apt. Manasi complements him. Krishna Chaitanya's lyrics are trendy and capture the mood of Thaman's music. All in all, it's party time! Shreya Ghoshal's rendition breathes life into this massy number. At a time when item songs are rendered more by a Geetha Madhuri or a Shravana Bhargavi, Shreya offers a welcome change. Nakash Aziz and others match up to the electrifying effect of the music and as well as Shreya's talent. Ramajogayya's lyrics pack doubles entendres in a relatively mellowed language. The interlude of the beats does remind one of a Mani Sharma song. Thaman proves to be a mini-Melody Brahma for a change. He ensures that the tuning feels like a breeze. The mellifluous rendition by Sameera Bharadwaj is eminently enjoyable. Jubin Nautiyal complements Sameera's talent. Sri Mani's lyrics are a mix of poetic touch and (prominently) conversational style. All in all, a good melody. For a song of this genre, the male voice is refreshing. Thaman once again offers something new on the platter in terms of the choice of his singers. Ramajogayya employs a playful language that is a mix of the folkish, English and everything in between. The tuning could have been better, though. 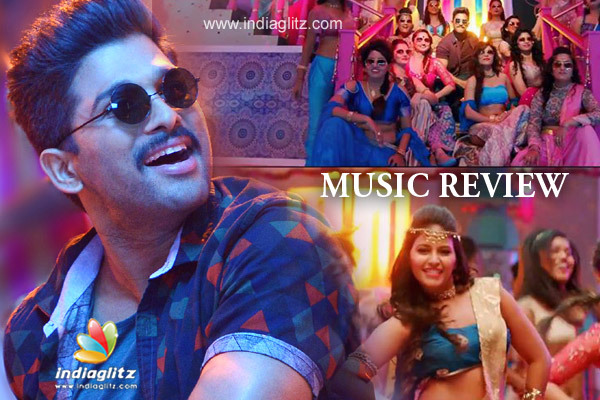 Verdict: Thaman's music keeps in mind the demands of a mega-talented dancer like Allu Arjun. Apart from that, the tunes are interesting. The singers are better than the lyrics.